No whisky collection is complete without featuring Highland Park. Their momentous main ranges of 12 and 18 year malts are fantastic drams with mainstream availability. For the Angels' Share initiative I wanted something different, as much as I really fancy the 1973 release for personal reasons yet the price tag is something else. 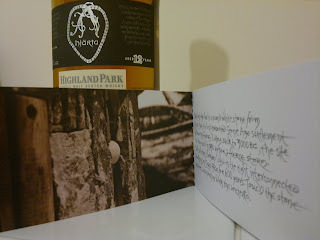 So instead I went for a release intended for only Scandinavia, the Highland Park distillery or online. 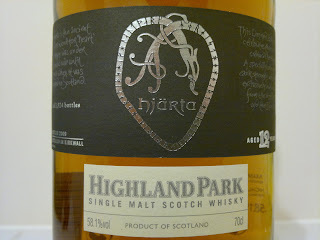 Needless to say with just 3924 bottles, Hjarta wasn't around for very long. 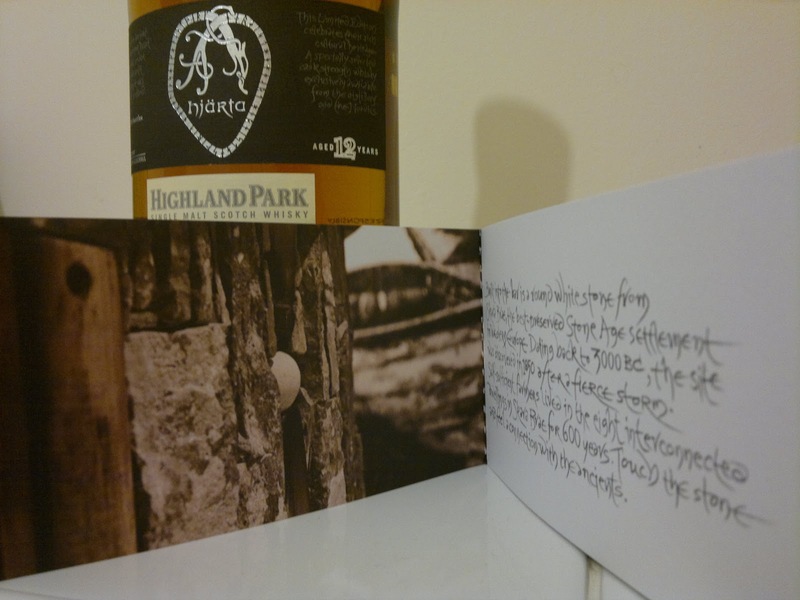 The release itself is indicative of Highland Park and its marketing, which nowadays focuses on Orkney's Scandinavian heritage and all things viking. 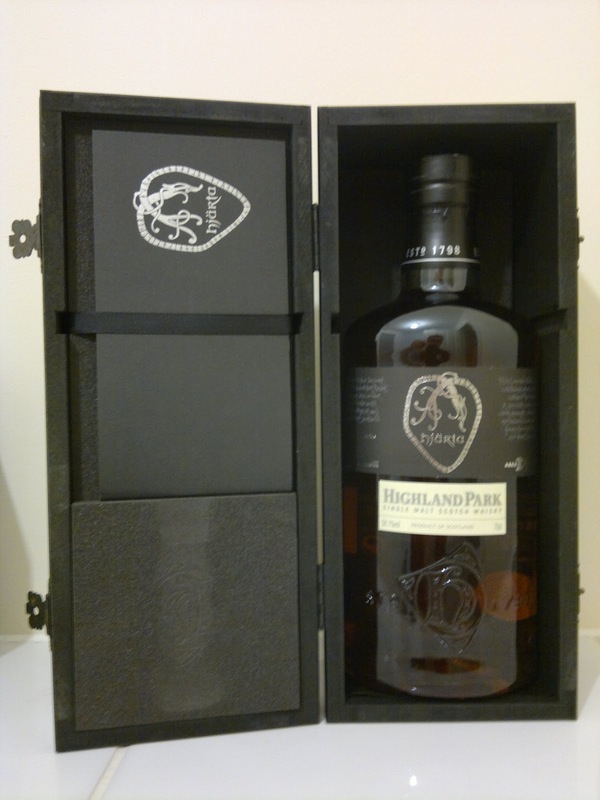 Even recently, Highland Park have launched a new series starting with Thor, in a mind boggling 'limited edition' of 20,000 bottles. That's not really limited in my book, it actually makes a mockery of the whole concept, just like the record companies did with lottery numbering of picture discs. 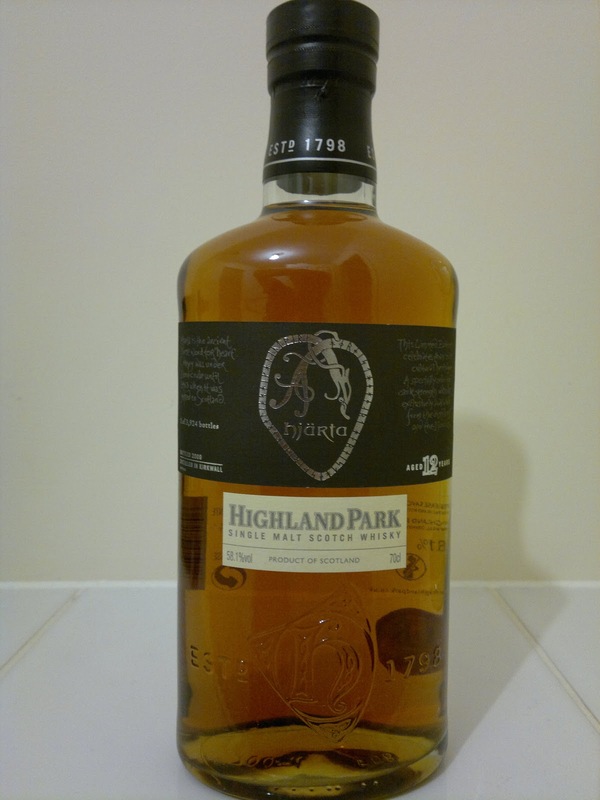 However Highland Park plough on and for all my criticisms of the marketing, such ploys and their relentless editions, I still love what each bottle delivers. If it wasn't for that, then I'd be moving onto the nearby Scapa distillery, that is upping its game considerably. 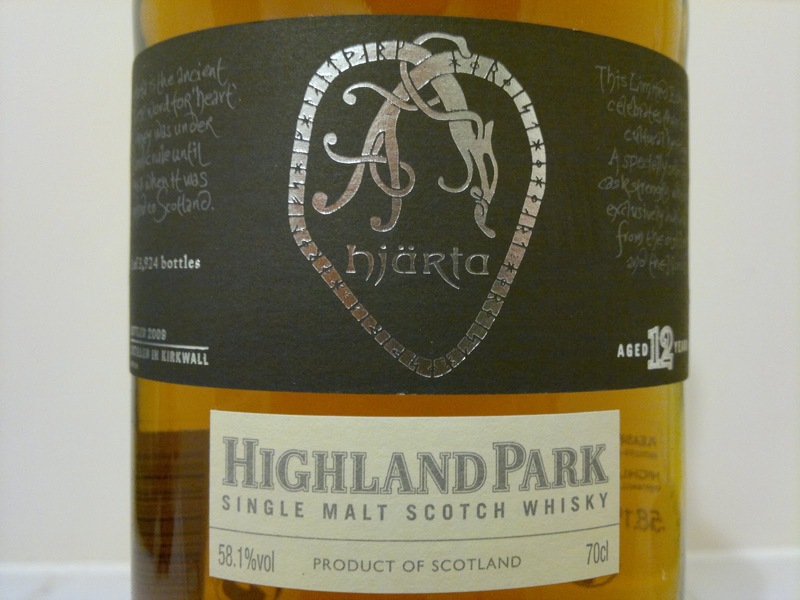 This whisky as been created by Max MacFarlane and is bottled at a refreshing 58.1% ABV. The sturdy packaging contains a gloriously caramel, gold delight with the Highland Park tasting notes promising that caramel, pineapple, spices and heather await.